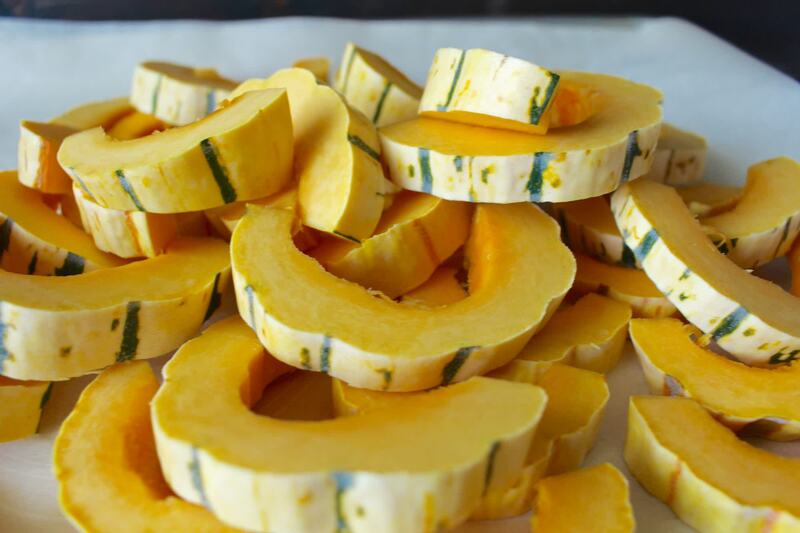 Also known as �Sweet Potato Squash� or �Peanut Squash�, this squash is unusually sweet, though thin-fleshed, and has deep orange, tender, and dry fine-grained flesh flavor. 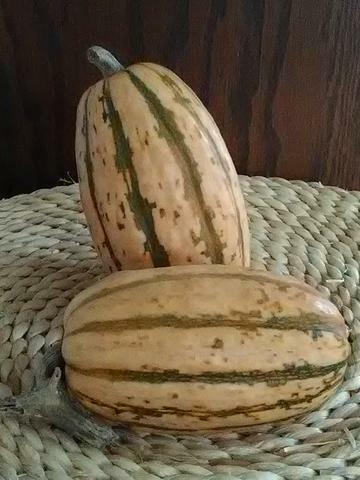 Oblong cylindrical fruits 5-9 inches. 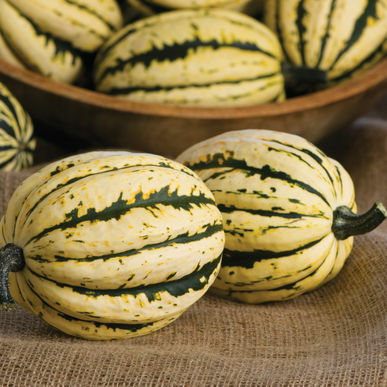 This very old variety was introduced in 1894 in the USA by Seedman Peter Henderson of New York. It is also known as "Bohemian" and "Ward's Individual". Bushy plant. Fruit: Cylindrical. 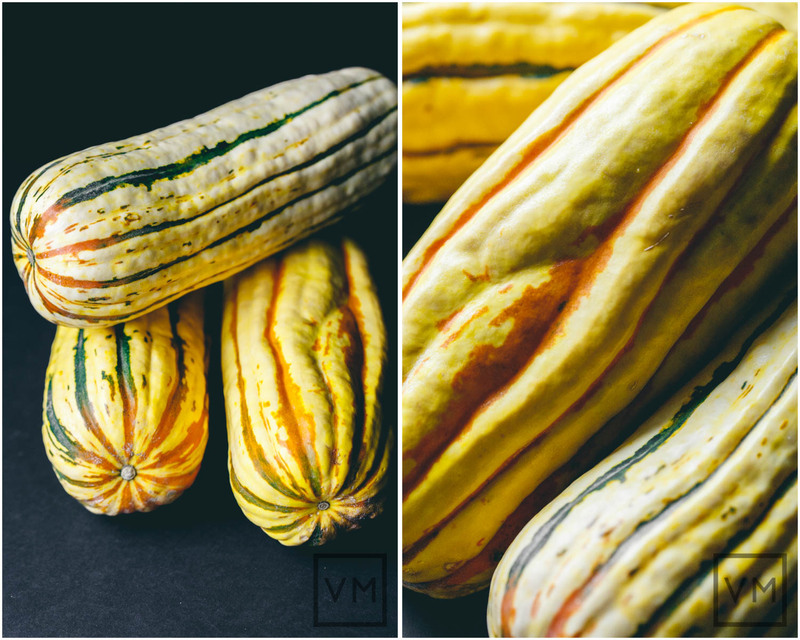 Creamy white with green stripes becoming orange in the hollow of the ribs. 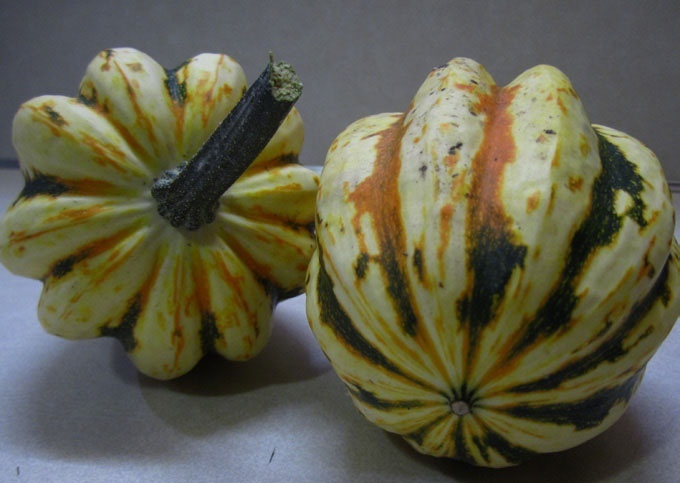 Fruit size: 6 to 8 cm in diameter. Length 20 cm. Weight: 0.3 to 1kg. Epidermis: Smooth and fine. Flesh: Yellow, sweet, good nutty flavor. 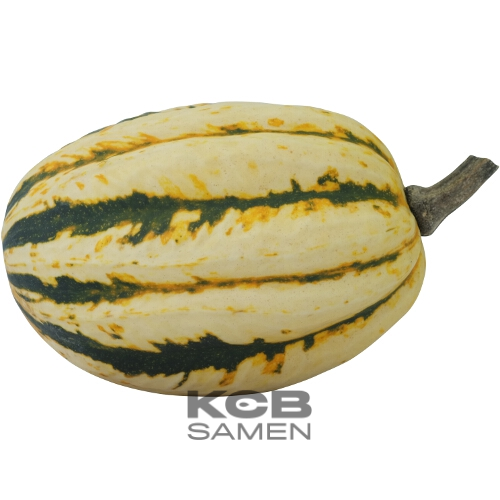 Description / information: Variety of easy culture and fine flavor. It offers 6 to 10 fruits per foot. Growth: 90 days. Allow fruits to remain on the vine until fully mature. 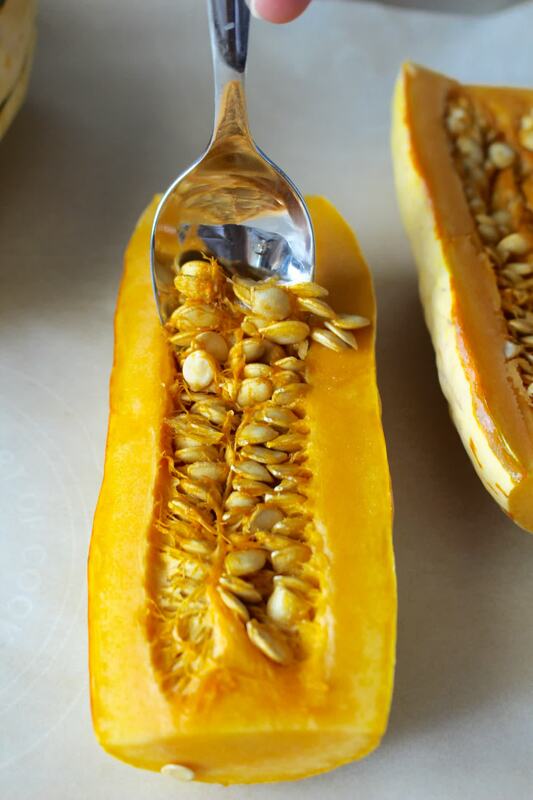 Gather before frost, leaving part of the stem attached to the fruit. Cure in a warm area for a week to 10 days, then store. 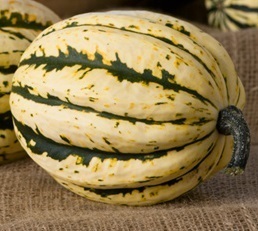 This squash is an excellent climber and is recommended for growing on a lattice or fence. 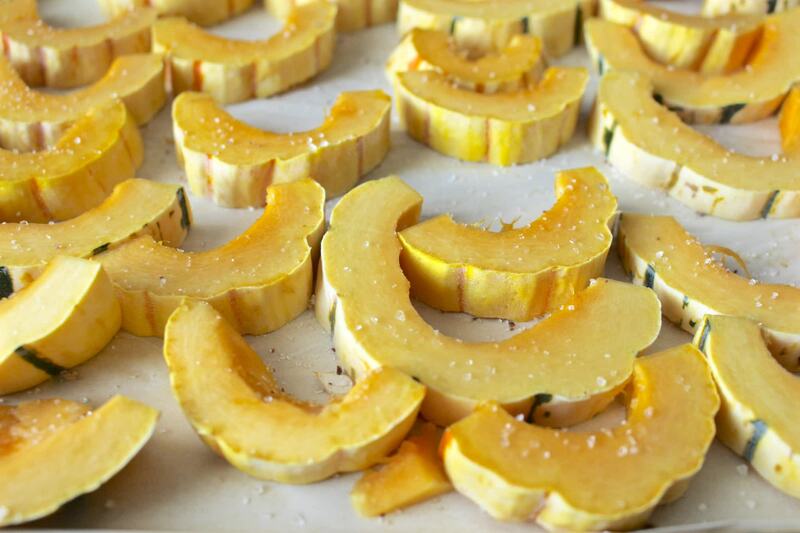 It is excellent for stuffing and baking. Prepare it as you would an Acorn and eat right out of the shell. 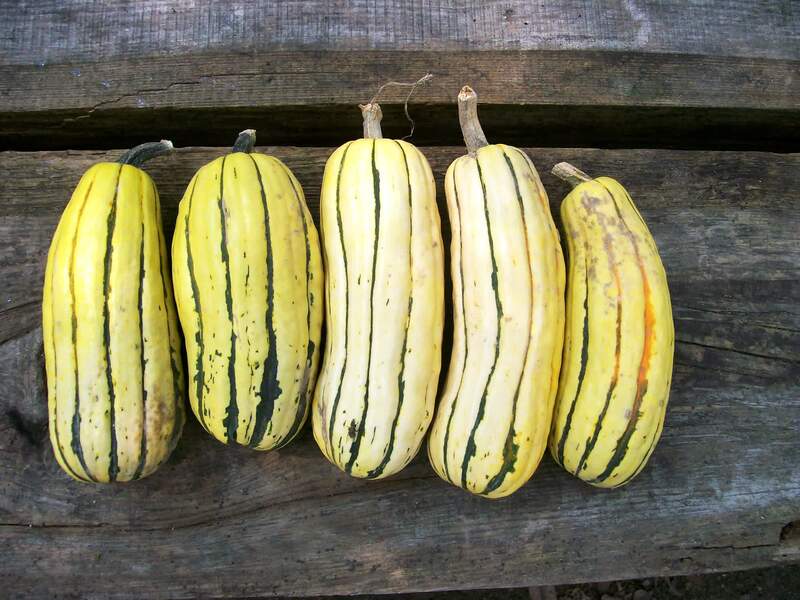 Delicata Zeppelin - It is a selection of the Delicata variety, dating from 1894, obtained by Frank Morton in Oregon. 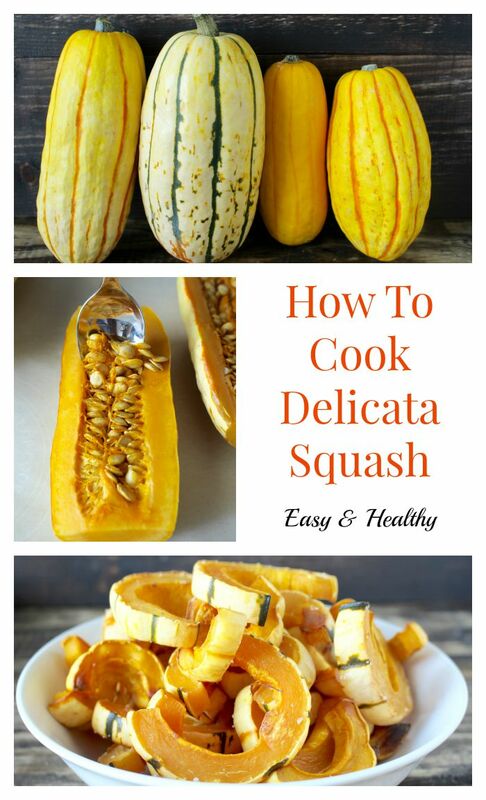 Also known as tan delicata or sugar loaf. 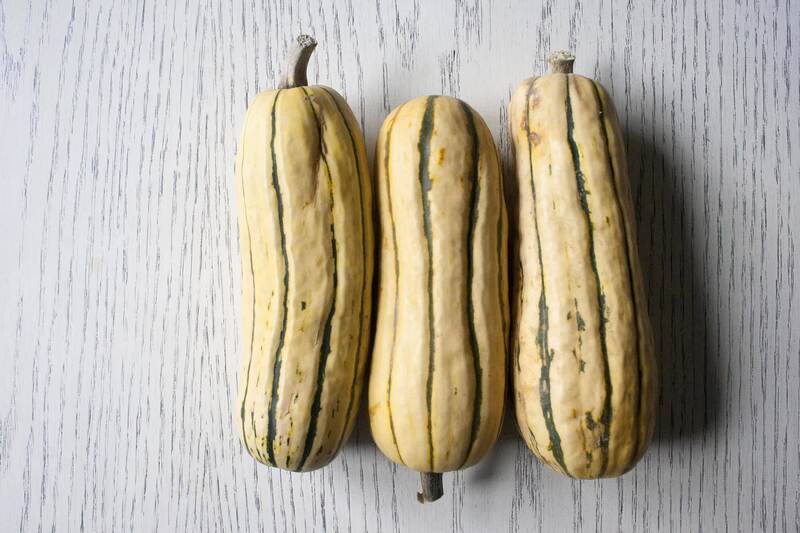 One of the sweetest squash varieties in existence. 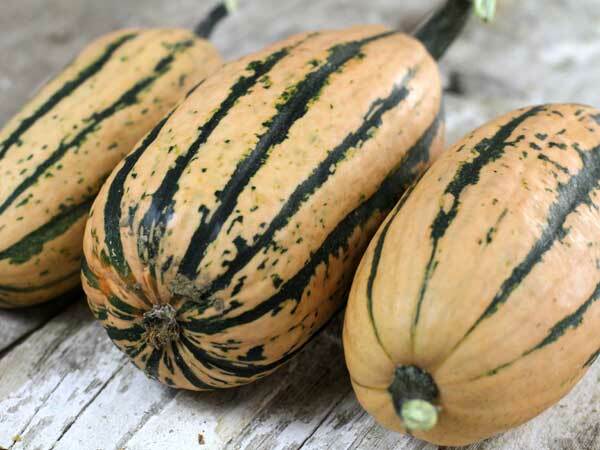 Oblong, Delicata-shaped squash has tan skin with green stripes. Excellent quality and produces early. Developed by Dr. James Baggett, Oregon State University. 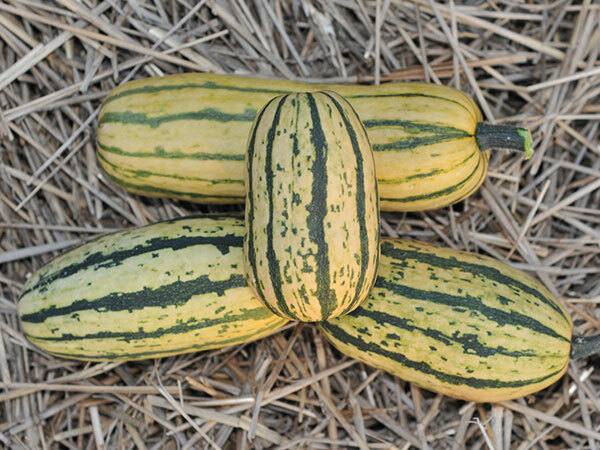 runner: yes fruit: creamy white, striped with fine green stripe going from the peduncle to the umbilicus. 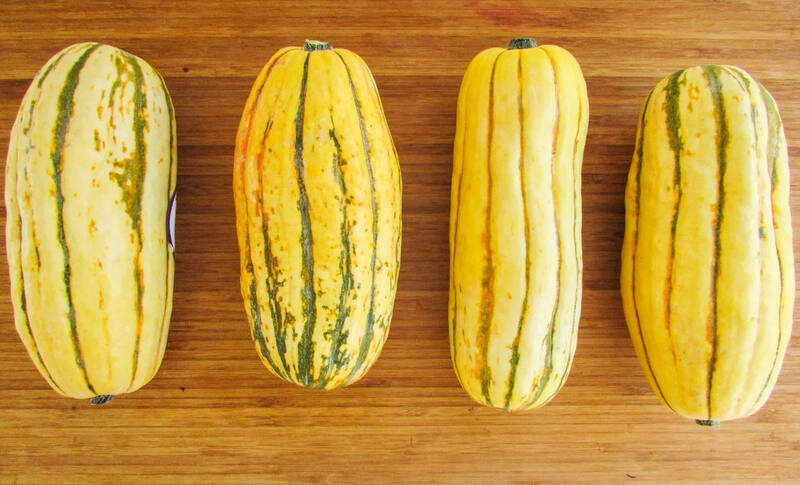 These stripes turn orange when ripe. 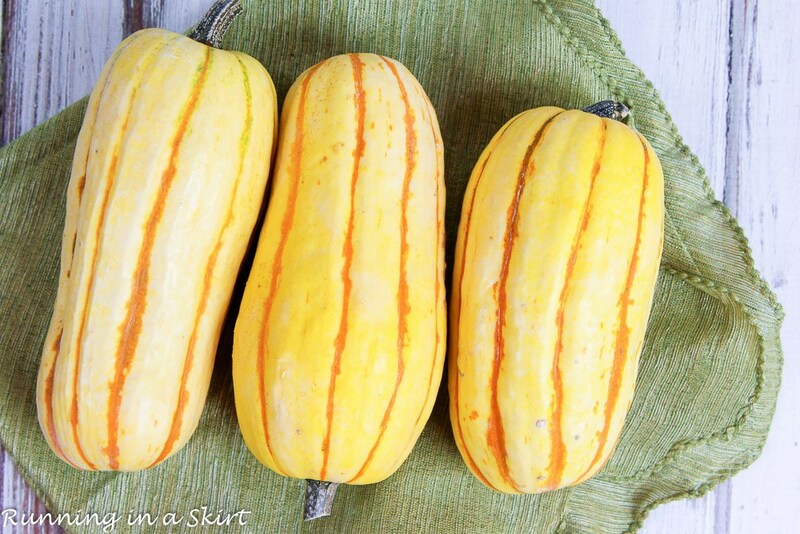 fruit size: 5 to 8 cm in diameter. 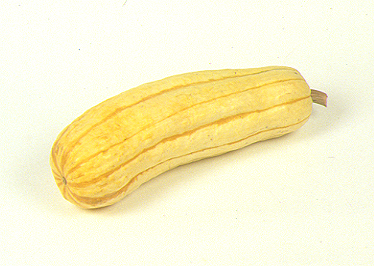 Length 10 to 15 cm. 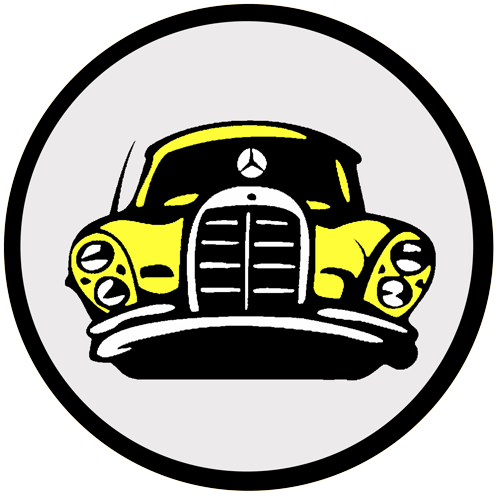 weight: 0.3 to 0.8 kg. epidermis: Smooth. 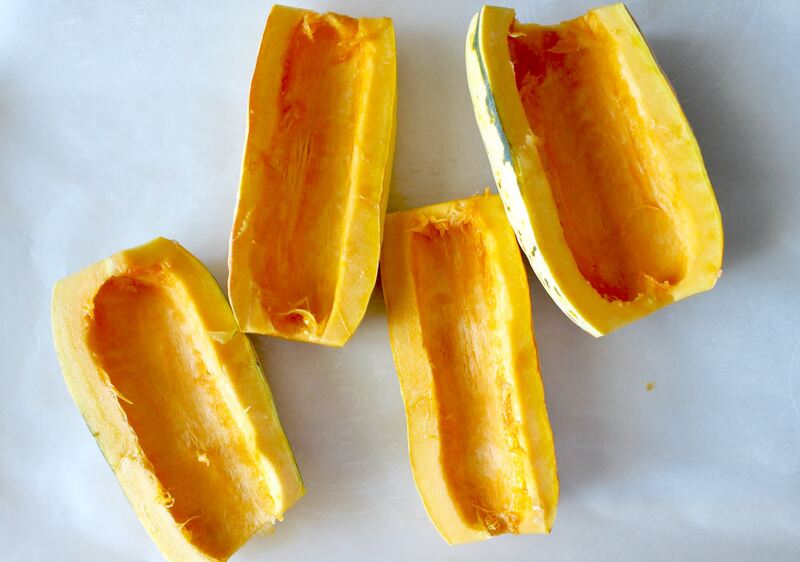 flesh: Yellow-orange and firm. description / information: Variety that needs a lot of heat. 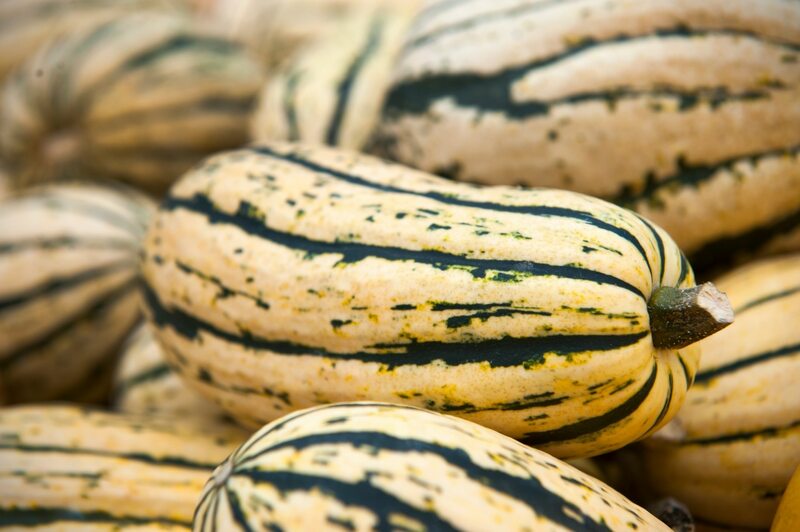 It offers 6 to 9 fruits of very good quality per foot. growth: 110 to 130 days. 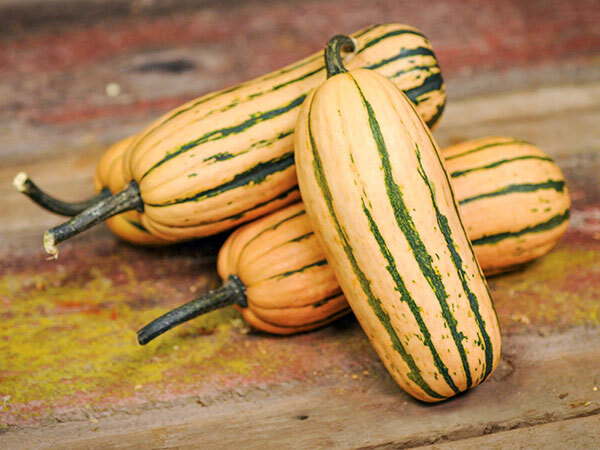 As attractive and the same size as delicata, but with better eating quality and acorn-like shape. Jester is oval, tapered at both ends, with small to average ribs. 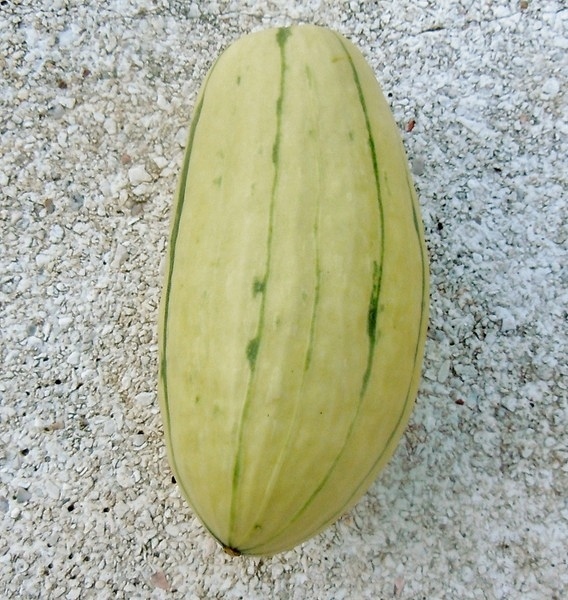 Fruits have an ivory background with green striping between the ribs, and avg. 1 1/2 lb. 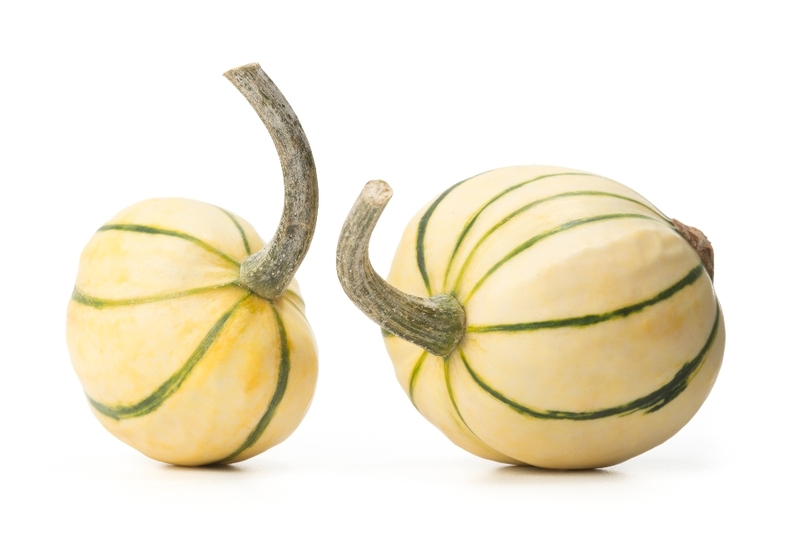 Widely adapted, short-vined plants average 5-7 fruits/plant. 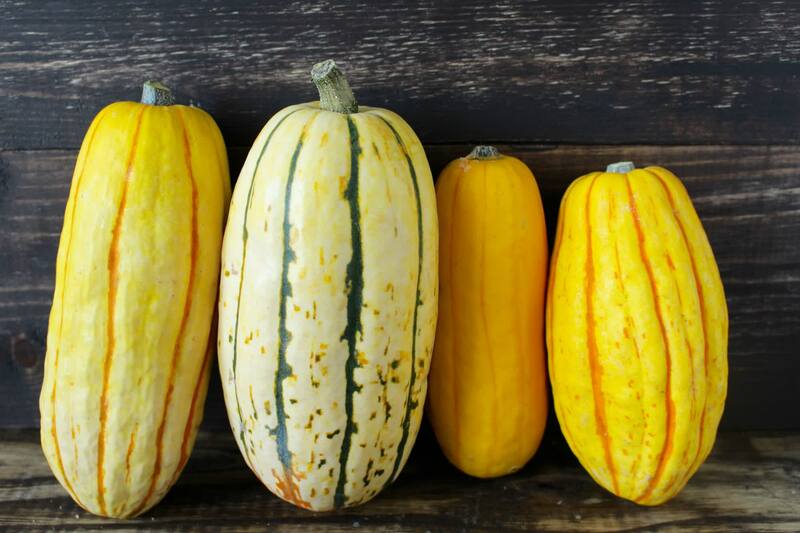 Like other acorn and Delicata type squash, best eating is within 2 months of harvest. A variety from Carol Deppe and Nate France bred for organic systems, Candystick is as its name implies, sweeter than traditional delicatas. 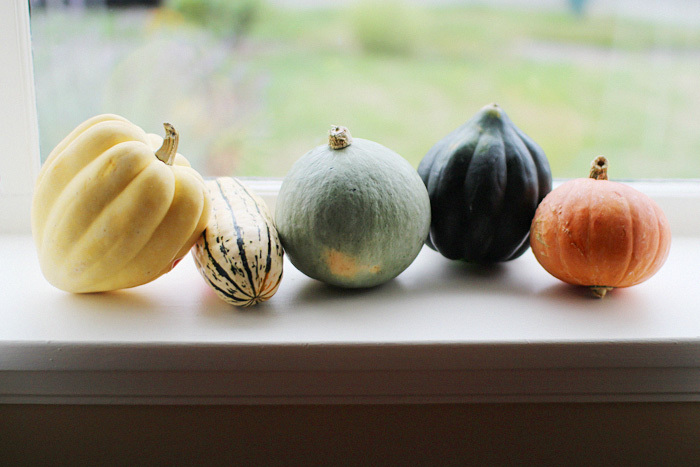 The fruits are also larger. 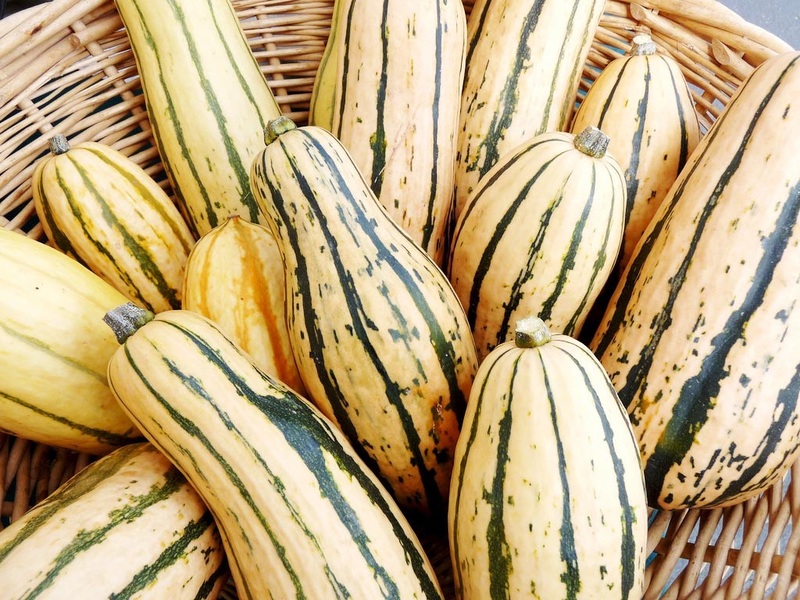 Like Thelma Sanders Sweet Potato Squash, this delicata is a repeat variety in our Michigan garden for ease of growing (we trellis it), productivity, manageable fruit size, irresistible sweetness and long-term storability. 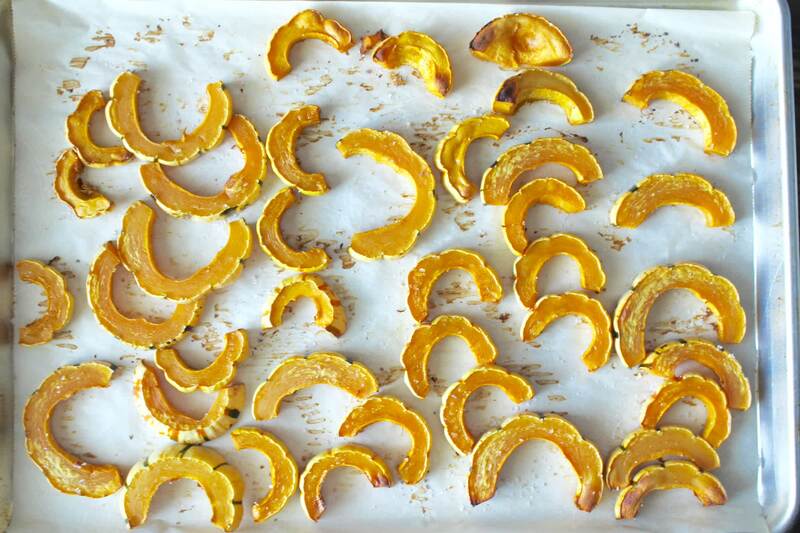 An added bonus is its thin edible skin makes peeling unnecessary. 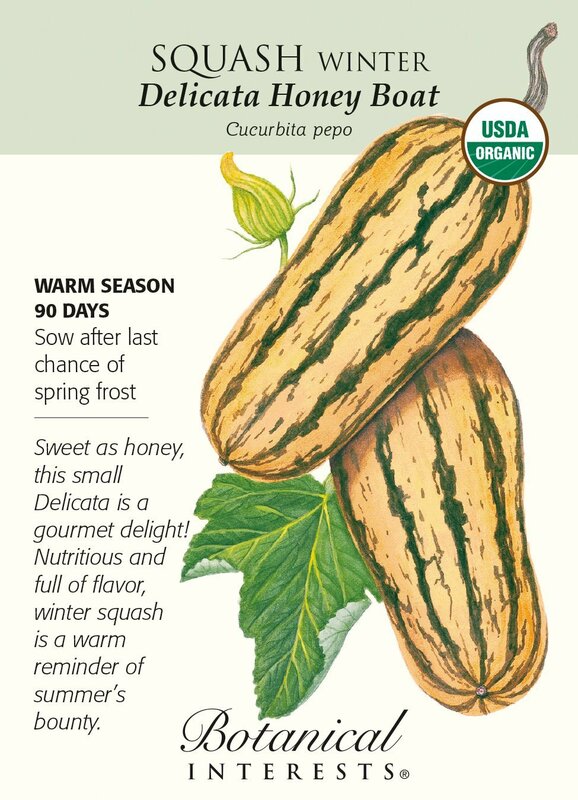 Candystick Delicata is certain to delight northern gardeners.